THE Angolan government and the opposition National Union for the Total Independence of Angola (UNITA) have agreed on a date for a “dignified reburial” for former rebel leader Jonas Savimbi who died in battle against government forces on 22 February 2002. The new development was praised by observers who see it as yet another important milestone in the process of national reconciliation and the definitive healing of the wounds of a brutal civil war that lasted decades and whose negative consequences were felt in neighbouring countries, including Namibia. 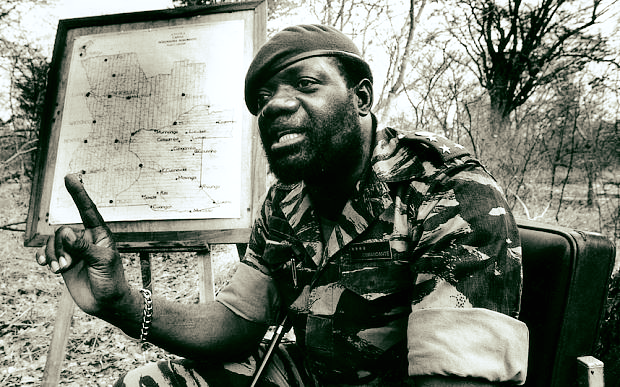 Savimbi – who is considered “a villain” by some and “a national hero” by others – was buried without any honours in the eastern Moxico province, but UNITA leaders never ceased to demand a proper burial for their slain leader. The death of Savimbi in 2002 brought an end to a civil war that caused untold suffering to Namibians living in northern regions, especially the Ohangwena and Kavango East and West regions. Former Angolan president Jose Eduardo dos Santos steadfastly rejected any suggestions of a Savimbi reburial, but his successor Joao Lourenco appears to have taken a different approach. Negotiations for the exhumation and reburial of Savimbi’s remains started last year. Several meetings were held ever since, culminating with an agreement on 23 January. According to the Angolan media, the government initially wanted the reburial to be done in December last year, but UNITA preferred June this year. The two sides eventually settled on the 6th of April as the date for the reburial, which will take place at Lopitanga village in the central province of Bie. 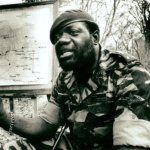 Savimbi founded UNITA in 1966 to fight against Portuguese colonialism, but has since 1975 until his death in 2002 waged a war against the MPLA government with which he signed several failed ceasefire agreements. President Lourenco has given the process of national reconciliation a new impetus. Last year, he approved the repatriation of the remains of former UNITA commander, general, Arlindo Isaac Pena “Ben Ben”, who died in South Africa and was buried in a Zandfontein cemetery near Pretoria in 1998. General Pena, who at the time of his death was the deputy chief of the Angolan armed forces, was given a state funeral in September last year, which defence minister Salviano Sequeira described as a “deserved honour” and a step towards the consolidation of peace and national reconciliation in Angola.